What is Bus Reservations about? What are the buses available? Do I need to obtain a physical ticket? What if I erase/lose the SMS? Can I get on to the bus halfway through the route? What if I can’t get on board on time? Please name the destinations which this service allows us to travel? Reserve intercity train tickets anytime, anywhere! 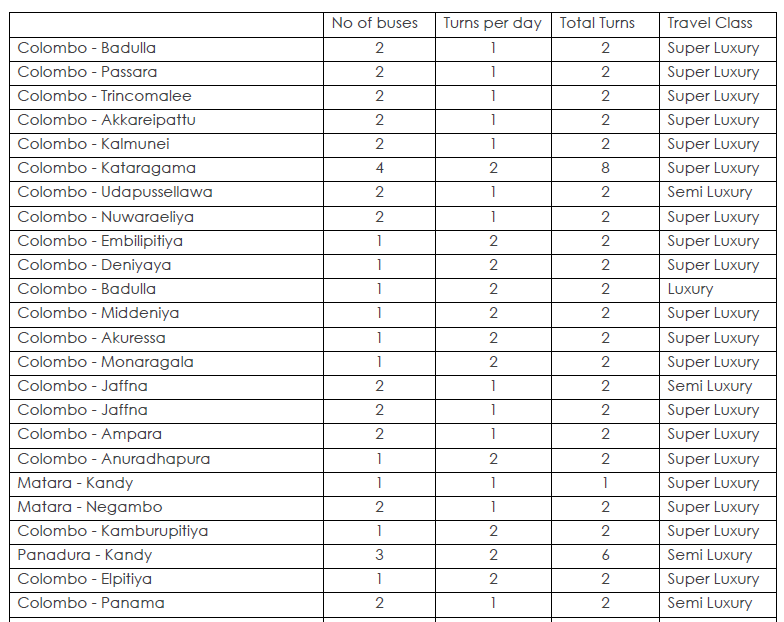 Simply call Mobitel Ticketing service short code 365 from any Postpaid and Prepaid Mobitel connection to reserve Kandy Colombo intercity, Vavniya Intercity, Vavniya Night mail, Yaldevi, Badulla Nightmail, Udarata Menike, and Podi Manike. 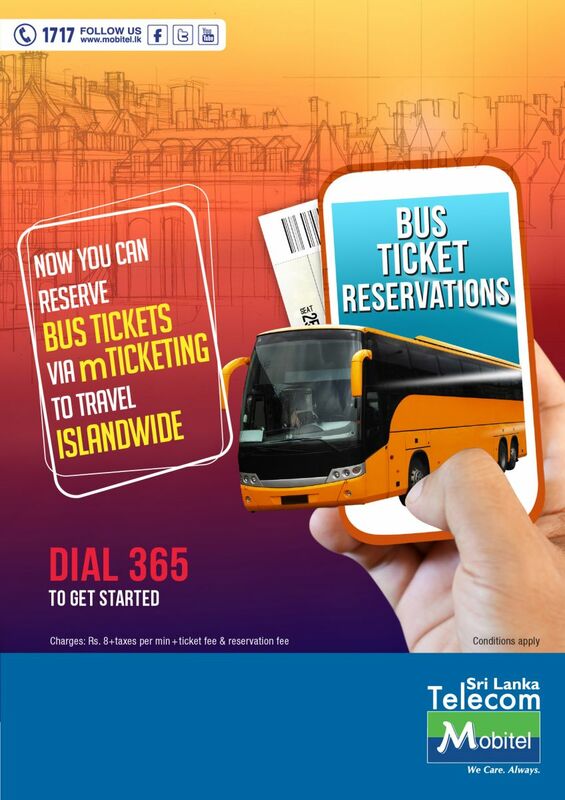 Dial 365 to access the Mobitel Ticketing service. State your name, national ID number, destination information and number of tickets. You will receive a reference number. Reservation details will be confirmed via SMS. Collect your ticket at any Mobitel branch, Fort Railway station special counter or from Colombo, Gampaha, Peradeniya, Kandy Railway stations. Mobitel customers can get their ticket printed from any Mobitel branch or any existing location currently in operation for ticket printing. 24 hour access, No queuing,No travelling. Short code charges, ticket charges and reservation charges will be charged for every successful booking. These fees will be added to your bill. Rs. 8 per min + taxes. Now reserve your SriLankan airlines ticket from your mobile! 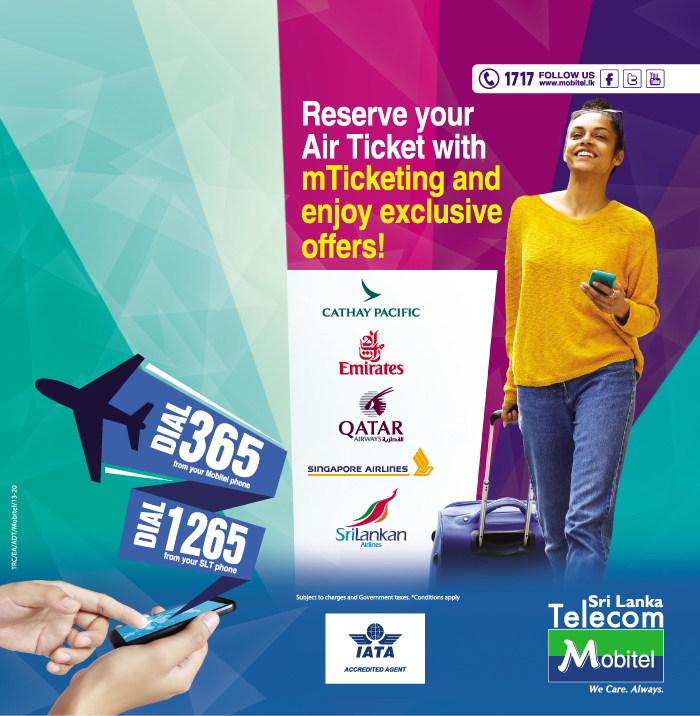 Dial 365 and reserve your airline tickets to anywhere around the world! Watching movies is now more enjoyable and easy. Reserve your movie tickets on your mobile phone within the comfort of your home through Mobitel Ticketing service. State your name, national ID number, movie information and number of tickets. You can collect your ticket at the cinema theater. 24-hour access, No queuing, No traveling.